Passing Lane 2km signs indicates the prermitted or prohibited use of a road. 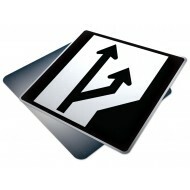 This sub-class includes signs relating to the control of speed, turns, direction, of vehicle, passing, traffic lane usage, vehicle weights and dimensions, parking, pedestrians and other road users. 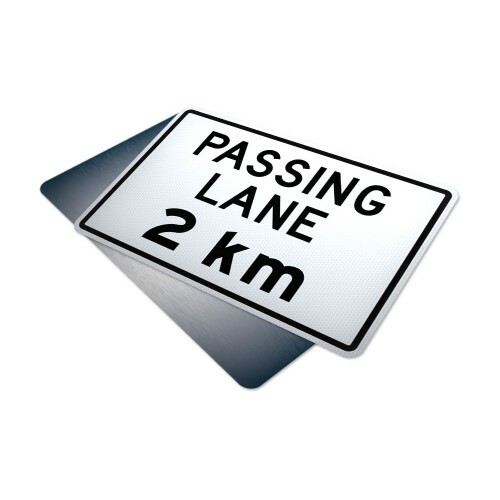 Text Reads: "Passing Lane 2km"
Purpose: Passing Lane signs indicates the prermitted or prohibited use of a roa..